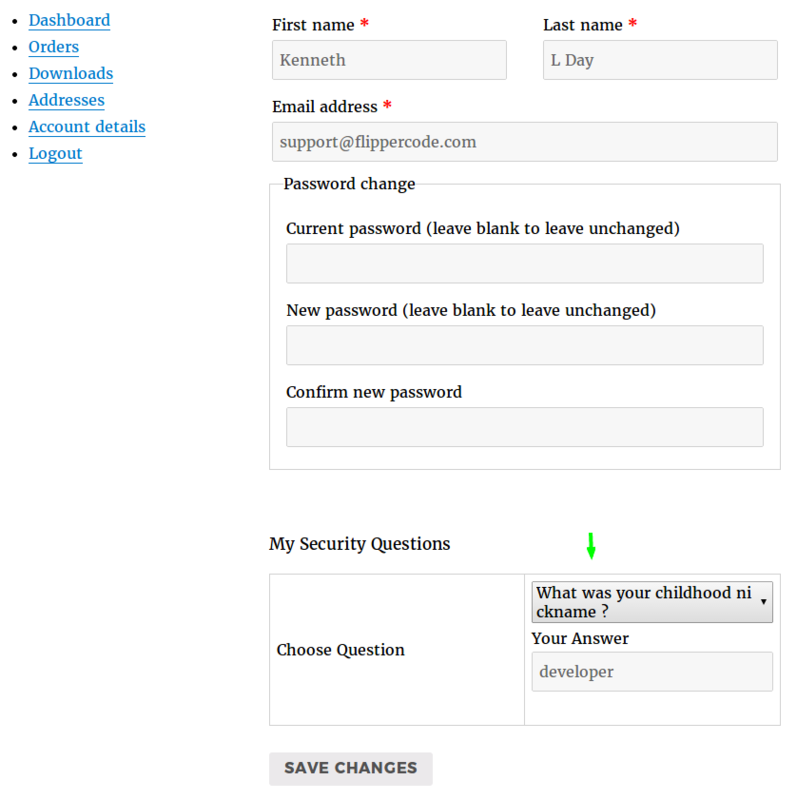 Admin can setup Multiple Security Questions using backend to provide more security to accounts of your site users. This plugin adds an extra layer of security for users. Setup number of questions you want to ask users. You can ask n number of security Q/A pair according to your choice. 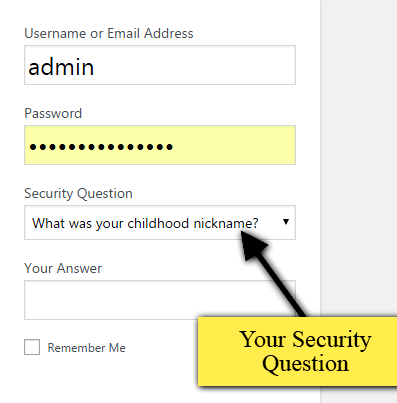 Site users can update their security answers from their profile page. 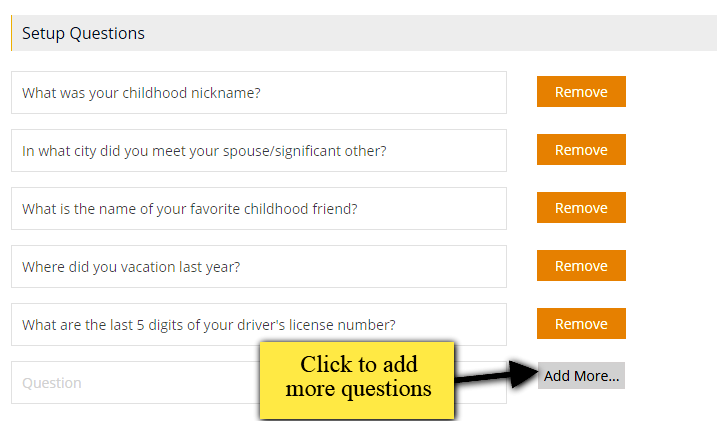 Users can update or modify the security question answer pair through their profile page in the backend. 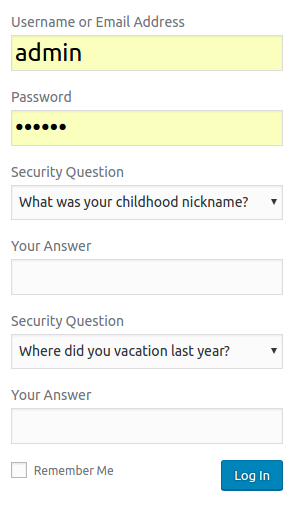 Display Security Questions on Registration Page. 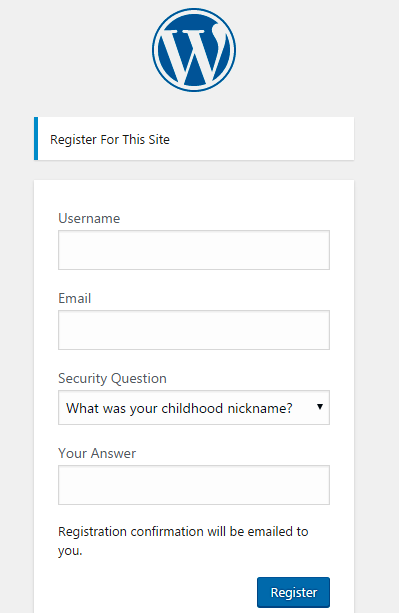 You can display security questions on a User Registration Page which adds an extra layer of security to your site user’s accounts. Display Security Question on Forgot Password Screen. This is the best way to stop unnecessary password reset request from anonymous users or hackers. You can choose if you want to show security questions always, randomly, one-time login failed or two-time login failed. 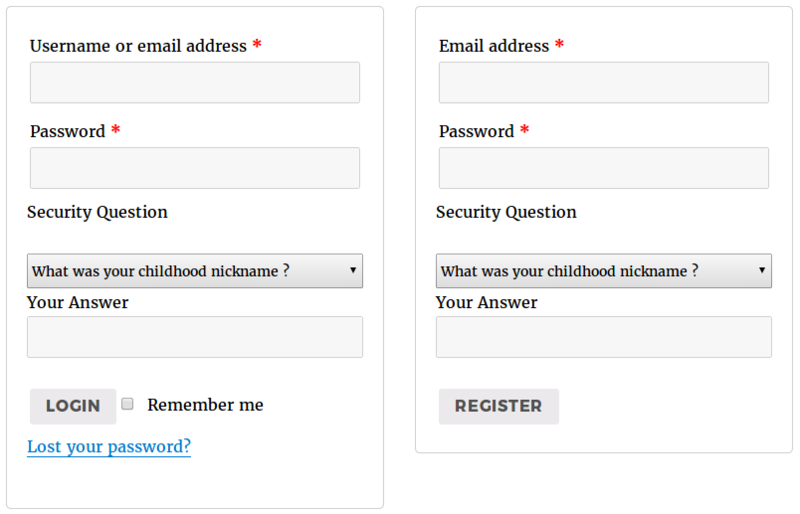 Display security answer field as text or password type HTML control. The type of security answer field on frontend is manageable by the backend. 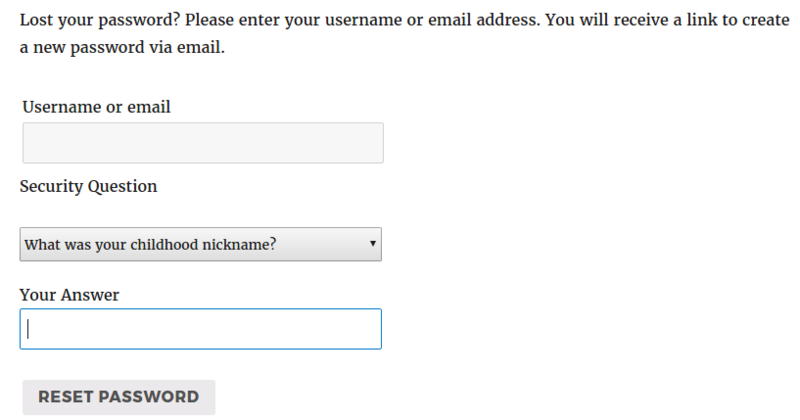 It can be a text or password type field. Admin can setup # of questions in the backend to ask multiple questions for more security. Security Q/A can be asked on woo commerce registration, login, lost password and my-account page. Step 1: Install WP Security Questions Pro plugin. Step 3: Choose Number of Security Questions. 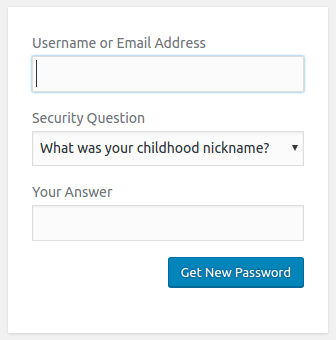 Step 4: Enable security questions For Login/ Registration/ Forgot Password Screens.